The Playhouse is a beautifully designed playhouse. 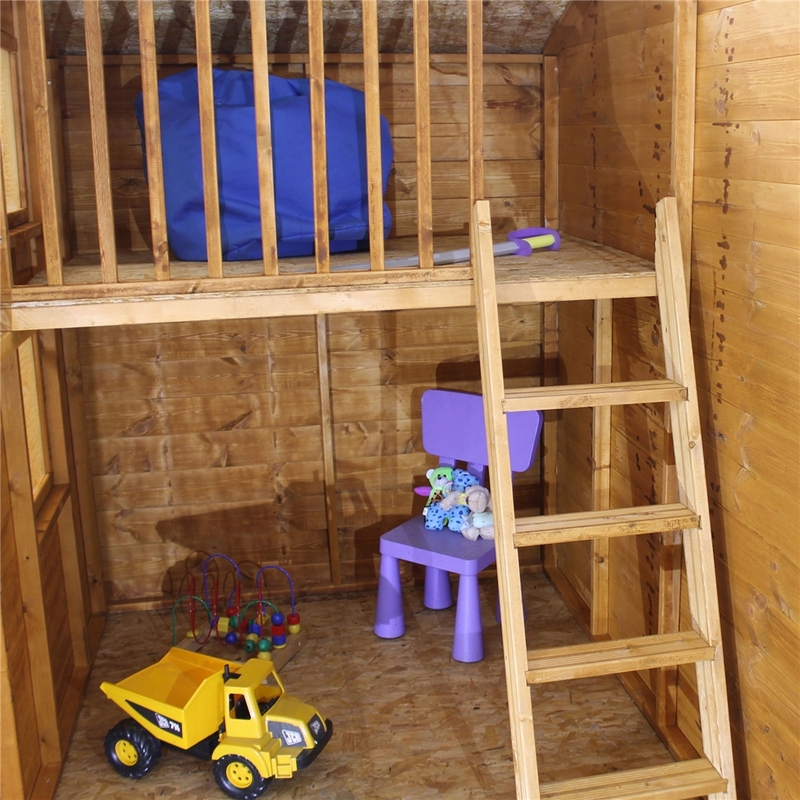 This is a large, extra height playhouse with an internal loft area, featuring style windows, window boxes, window shutters and is glazed with safety styrene. 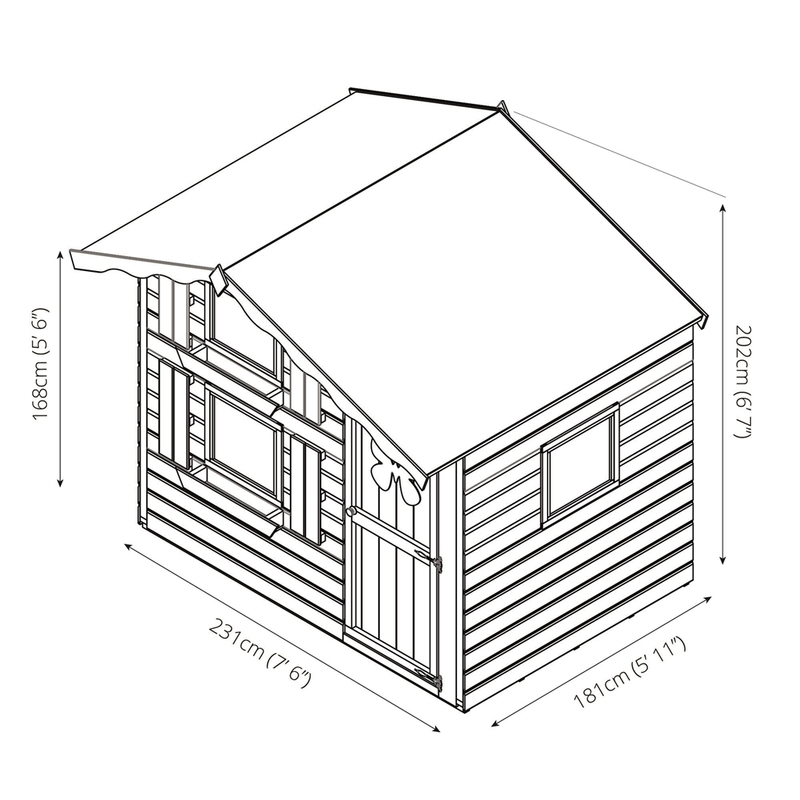 The Playhouse is designed to stimulate creative and imaginative play. 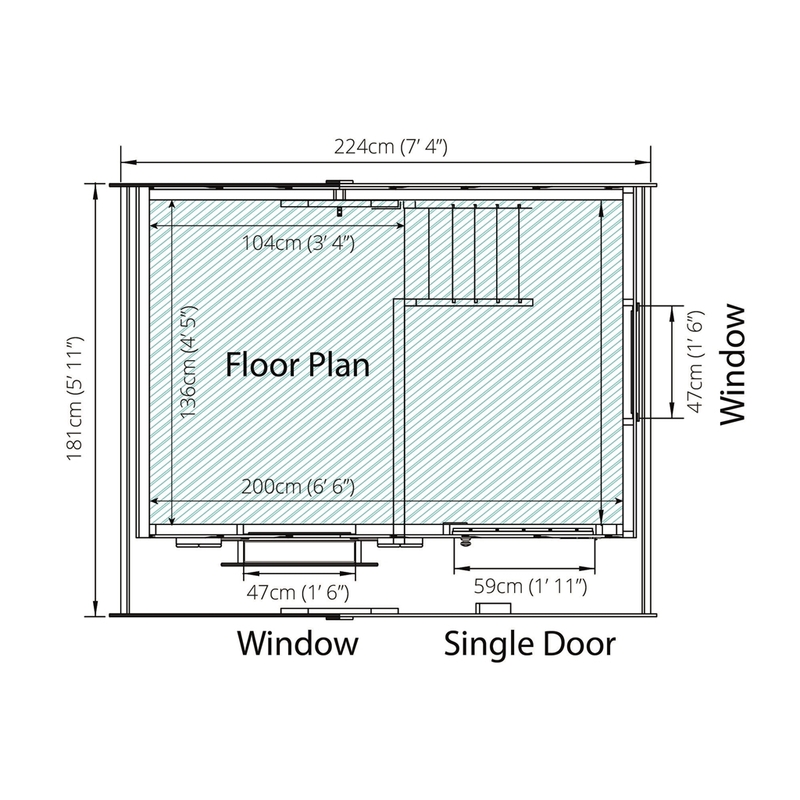 Children will love this cleverly designed playhouse and its loft area. 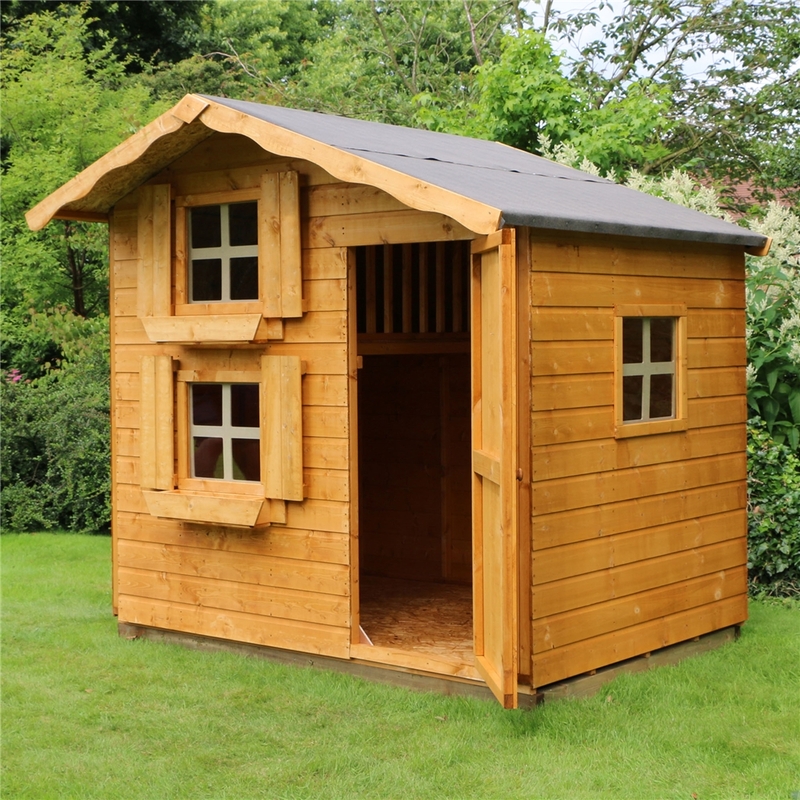 Your children or grandchildren and their friends will enjoy hours of fun in this hugely popular playhouse. 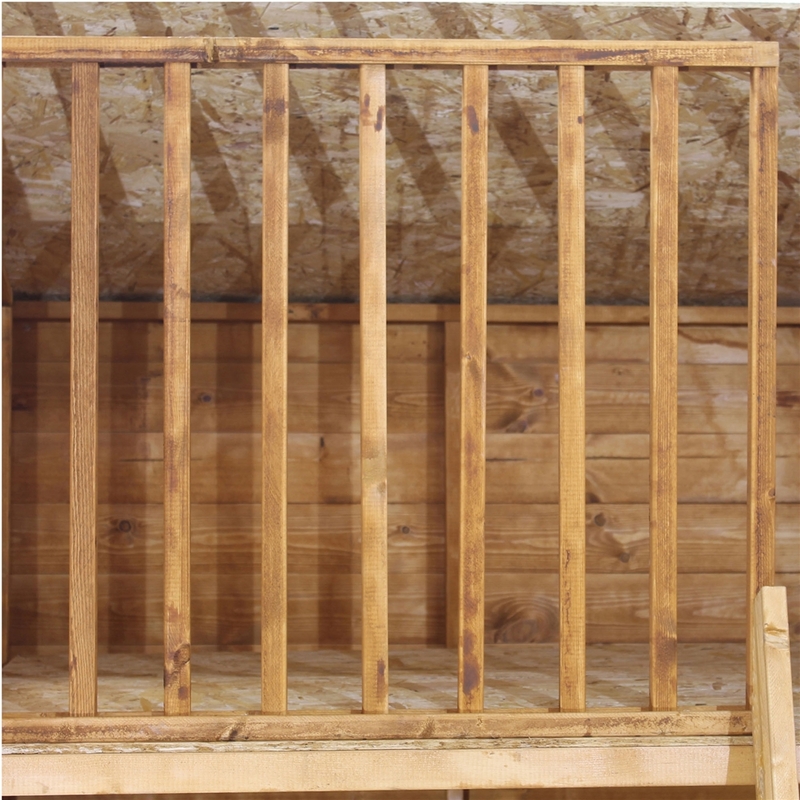 Manufactured to exceptionally high safety standards to meet European Toy Standard EN71. 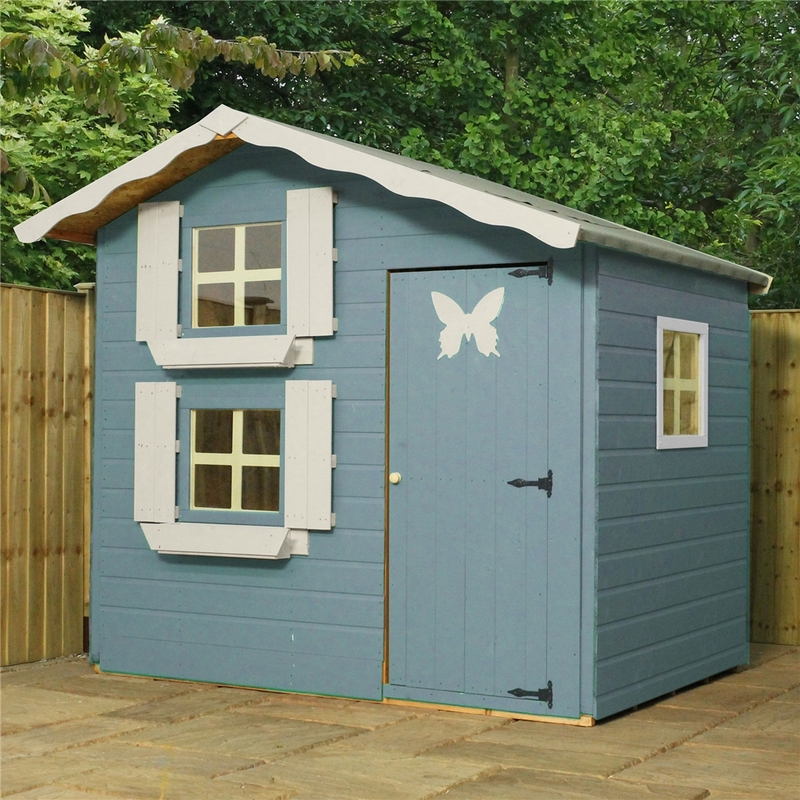 The Snowdrop playhouse is supplied pre-treated with a water based timber treatment for protection against the elements, however we recommend you treat the playhouse during construction with a high quality preservative for maximum durability.